All Members had until the March membership meeting (March 5th) to pay their dues. After that you are no longer a member in good standing unless dues are paid prior to the April membership meeting (April 2nd), including a $25 late fee. All members were emailed a calendar of events and flyers for the year. Please let the club know if you can work or help with any of the events. The club needs to have these events, so if you would like to see the club survive, please volunteer to work. The Manchester Mirror posted the events thru April. All events are on FaceBook. Please print off flyers and hang them up at work, around town, etc. Get the word out about all the cool things that the club is doing in 2019. The annual Spring Trap League will begin on Tuesday April 2nd at 5pm. Cost is $5 per person, per night. Open to the public. Bring your friends and have some fun. Nerf Wars was a huge hit! There has been interest in doing both a “Teenager” and an “Adult” Nerf Wars. Please send us your input. Stay tuned for updates. Saturday March 30th at 12 Noon, Mark Fernandez will oversee the pellet league. Please contact him to help or be part of the league. Open to the public. The 7th Annual Breakfast With The Easter Bunny will be Easter Saturday April 20th from 10am-12 Noon. The club will need help to work the event. This is a great way to get your annual 3 hour requirement in. All members will be receiving a flyer via email. Please print several and hang them around the area. The more people that attend, the more benefit for the club. Don’t forget to tell you friends about the event. 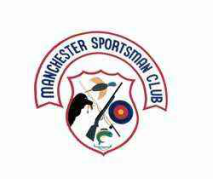 See www.manchestersportsmanclub.org for full schedule. There will be NO range time during these events.